An unusual chin length Bob cut with razor cutting resulting in a more graduated textured look. 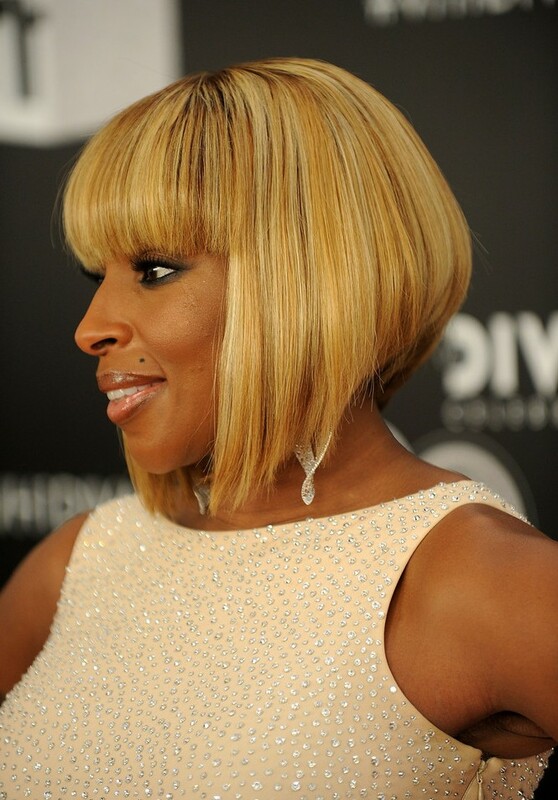 Mary J. Blige wore her golden tresses in a sleek inverted bob at VH1 Divas Celebrates Soul. This bob haircut is good for Round, Oval, Square, Heart, and Triangular face shapes.